I am Dug Stokes, a freelance developer based in Lincolnshire. I run a small development company, often involving other self-employed programmers. We work with a number of clients across the country, from our main office based in Lincolnshire. To save on costs, we don’t have facilities for meetings – but we are able to make any arrangements, and visit locations most convenient to you. By travelling to your location, we can also see how you use your existing technology, and how best to help recommend suggestions that work alongside your existing processes. Our current clients are predominantly spread across Norfolk, Suffolk, Essex and Lincolnshire. We cover most of the East of England region – and very happy to support remotely beyond, too. We also are available via email, Skype, mobile phone, and various other methods throughout the day. If you would like to arrange a meeting with me and your team, please do get in contact and we’ll be happy to help. 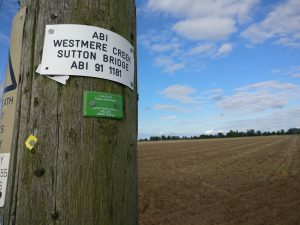 We are currently are based from the quiet village of Sutton Bridge, in the South Holland district of Lincolnshire. Situated not far from the commercial dock, alongside the Crosskeys Bridge, both still very much in use. 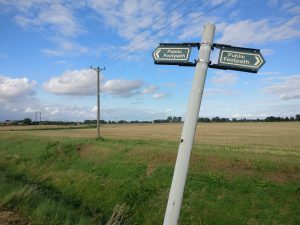 In the early 19th century, there was little more than a few farmhouses and cottages and a track road – but by the 1830s a basic bridge and two lighthouses were constructed, and by 1843, the local Parish Church was built (the only flintstone church in Lincolnshire). It was not long before the Sutton Bridge Dock was built in 1875. The famous Crosskeys Bridge was built in 1897, at a cost of £80,000 and is the third bridge to cross the river. The bridge was originally dual purpose, serving both road and rail traffic until 1959 when the railway closed. The village also played a pivotal role during the Second World War as home to the RAF, which the bridge even being used for low-flying practice in preparation for the famous Dam Busters Raid of 1943 with 617 Squadron. The village is now home to a number of thriving businesses amongst a friendly and relaxed community. With a population of over 4,500 and growing, fantastic internet connectivity, and a very quiet atmosphere, it has been the ideal place for us to work. 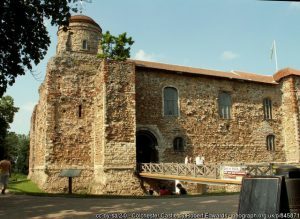 Originally, frag.co.uk started working from Colchester, Essex back in the very early days of the internet in 1994. We predominantly worked in software development, as well as Linux and Windows server support, whilst also designing and coding websites. We worked for a number of big clients in the area, including at many schools – particularly the Gilberd School and Myland School, amongst others. 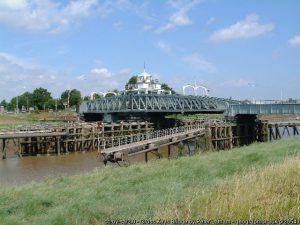 In mid-2006, we moved to Holland-on-Sea, near Clacton, Essex, not far away. 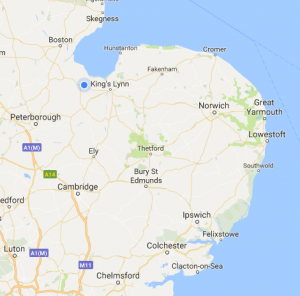 We finally migrated up to Lincolnshire in mid-2011, given far better transport links and internet access, and continued to support all our clients, almost all of whom have stayed and we hope will for many years.